I missed a blog post yesterday. I know. I know. A terrible travesty. I know there are so many of you hanging on my every word. This blog schedule is a bit aggressive. Monday through Friday post, leaving the weekend to post about sales and exciting new book releases. It’s all meant to be not only a helpful outlet to others in the self-publishing world, but also an exercise in control for me. Committing to a 300-500 word a day blog helps keep the words flowing, even if they may not be story words. We’ve touched on that topic before. Just write. That’s what separates those that want to be writers from those that are. Not all words are story words. And not all words have to be. Sometimes just the act of writing needs to happen. Especially in times of a story block. Let that not be a reason to stop you from writing. When the words are not working in a story. Make sure you are writing something else. You do not have to write a blog. You can draw up character information sheets. You can write a journal about your day. You can work out some history on your book’s world. Anything really. The sky is the limit. Set a goal word count. Something easy to keep, but that requires you to actually do it. 500 words a day is roughly 30 minutes of real writing. Doesn’t take long at all. Just, whatever you do, if you want to write, keep in practice. Dedicate yourself to the task. I say this all to myself just as much as I am saying it to you, because I too have been in a story slump. Words have not flown as easily as I would like, but this blog, and the daily task of keeping up with posts, has helped me immensely. 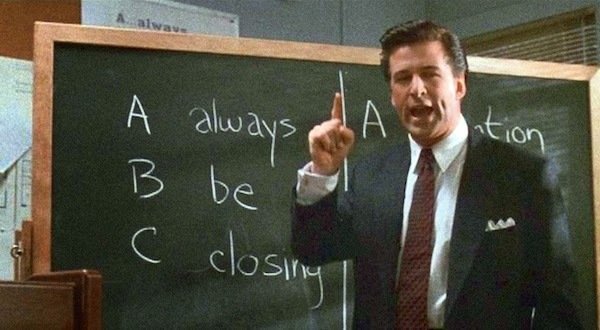 Coffee Is for Closers Authors! And I desperately want to be an closer Author!